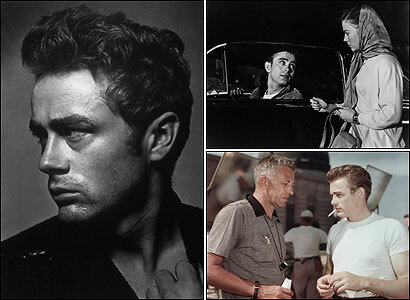 Fifty years ago, Nicholas Ray's ''Rebel Without a Cause" changed American culture. But did it call for rebellion, conformity, or both? WHILE DIRECTOR Nicholas Ray was casting the teenage roles for ''Rebel Without a Cause," a Warner Bros. production manager shot off a worried memo. ''Minors cannot work at night except under emergency conditions ... and this picture is approximately 80 night." These fears went unheeded. Though star James Dean, hot off ''East of Eden," would turn 24 shortly before Ray started shooting ''Rebel" in March 1955, costars Natalie Wood and Sal Mineo were both 16. ''Rebel" needed their adolescent energy as much as it needed its nocturnal shooting schedule. Above all it needed a director who knew how to unlock the potential of both. Ray understood the link between adolescence and night-a link that is the key to the sense of private apocalypse Dean's Jim Stark articulates when he broods that the end of the world will come at dawn. ''Rebel Without a Cause"-the story of a troubled new kid in town caught in an escalating spiral of violence-turned 50 last week. Its New York premiere took place on Oct. 26, 1955, not quite a month after Dean's fatal car crash. Over its half-century career, the film's meaning and its place in cultural history have been much debated. Thrilled by the film's romanticism, many viewers have taken ''Rebel"'s apotheosis of the teenager as a call to arms against middle-class conformism. This same romanticism puts others off: Elia Kazan, who directed ''East of Eden," repudiated Dean and the troubled characters he played as ''self-pitying, self-dramatizing, and good-for-nothing." Still others have questioned the film's reputation as an attack on middle-class values. For critic Peter Biskind, ''Rebel" is one of the films with which ''Hollywood taught us to stop worrying and love the Fifties" (in the words of the subtitle of Biskind's 1983 book, ''Seeing Is Believing"). Biskind reads ''Rebel"'s message as a profoundly conformist one: That Jim Stark's problems would be solved if his too-weak dad and his too-strong mom would assume their traditional gender roles. But perhaps Ray's intention was to espouse neither rebellion nor conformity, but to document the contradiction between the two in American society and their war for ascendancy within the individual. And perhaps the reason Jim and his friends are so concerned with apocalypse is that they know, intuitively, that the end of youth is, or might as well be, the end of the world. The historical irony here is that ''Rebel"'s impact was so strong that it actually changed the society its protagonists found so dissatisfying. In their compulsively readable, just-published ''Live Fast, Die Young: The Wild Ride of Making 'Rebel Without a Cause"' (Touchstone), authors Lawrence Frascella and Al Weisel make the bold assertion that the film ''invented the teenager." '''Rebel' is the first film that presented teenage culture through their eyes rather than through the eyes of adults," Weisel elaborated by phone from New York. ''That teenagers had their own ideals, their own way of life, their own way of thinking and feeling-these things were in the society. But 'Rebel' was the first film to define them and to define things that were bubbling under the surface." If this is true, then it must be admitted that ''Rebel" also helped promote some of the more dubious aspects of what could be called the post-teenage world, such as product placement. Frascella and Weisel observe that sales of T-shirts, blue jeans, and Ace combs-all basic requirements for the well-dressed rebel-were reported to have surged after the release of the film. In any case, ''Rebel" was definitive in more than one way. To the shrinking legion of James Dean worshippers, the film is a bible of masculinity. Even people who have never seen him and don't know his name do James Dean without knowing it, influenced by posturing, glowering avatars. In ''Rebel," Jim asks his father, ''What can you do when you have to be a man?" Dean's stylish response to his own character's question was the persona that achieved its fullest expression in ''Rebel": a classic mixture of confidence, good hair, and smoldering sensitiveness from which millions of men have taken lessons. Look beneath the surface, though, and Dean's image invites competing interpretations. James C. McKelly, author of an essay in the new scholarly anthology ''Rebel Without a Cause: Approaches to a Maverick Masterwork" (SUNY Press), edited by J. David Slocum, calls the film ''an inaugural cinematic artifact of a postmodern culture of rebellion." For McKelly, Jim's adventure is a disorienting journey through a society whose cherished institutions have all gone belly-up. In the same volume, Jon Lewis hews to the Biskind line, pointing out grimly that the end of ''Rebel" marks ''nothing short of a restoration of the fifties' suburban ideal." Central to this reading is the ending of the film, which seems to promise Jim a comfortable place in a normally functioning family. Yet many have found in ''Rebel" a harbinger of social and even political change. The film's most famous line is spoken by Buzz (Corey Allen), Jim's doomed nemesis, as the two prepare to compete in a high-speed ''chickie run" to the edge of a cliff: ''You got to do something." That line was ''the sociological gift this picture made to the hippies," as Allen himself glossed it years later. ''It's the underlying question of each generation. Here we are: What do we do?" Late in the film, adolescents Jim, Judy (Natalie Wood), and Plato (Sal Mineo) briefly form a surrogate family. Screenwriter Stewart Stern claimed that their experiment ''was the beginning of the lateral family...ultimately the creation of the family at Woodstock." Some might find Stern's retrospective prescience a bit suspect. But long before Woodstock, viewers of ''Rebel" sensed that something was in the wind and that this film had caught it. Psychologist Bruno Bettelheim wrote in 1961, ''A youth expected to create a new but not yet delineated society finds himself a rebel without a cause." Through Dean, then, ''Rebel" altered American-and, ultimately, global-culture. For Al Weisel and for others, ''Rebel" is a radical work, criticizing the ossified roles and conventions of mainstream society and offering an alternative. Via telephone, Weisel concluded that Jim, Judy, and Plato work out ''a new way of caring for each other. The film's basic message is, 'Listen to these young people, listen to their ideals.' It talks about tolerance for different kinds of people, like Plato, who is clearly a gay character. This ideal is clearly something that in the second half of the 20th century had a big impact on all of our lives." In their book, Weisel and Frascella give main credit for this radicalism to Nicholas Ray. This move is an important and welcome corrective. By the time of the film's release Ray had already emerged as, in Frascella and Weisel's words, ''the 'test case' and the 'cause celebre"' of the so-called auteur theory (briefly, the concept that the director of a commercial film can, in some cases, be considered that film's ''author"). Yet credit for his best-known work has sometimes been denied him. Dean's biographers tend to take at face value the claim made by Dennis Hopper, who acted in the film, that Dean in effect directed ''Rebel" himself. Using interviews and archival research, Frascella and Weisel refute this claim and document, step by step, Ray's personal involvement in the project. Perhaps it's Ray's passion for contradiction (evinced in all his work, from the 1950 failed-love story ''In a Lonely Place" to the 1956 drug-addiction parable ''Bigger Than Life") that, above all, accounts for the enduring power of ''Rebel." Seen today, the film is neither a pure paean to youth's unbridled self-expression nor a conservative tract on the need to shore up the patriarchal nuclear family. Instead, it's a film in which the urge to rebel and the longing to conform coexist in a state of peak tension. It's the same contradiction that lies behind the mixed messages of a mass-media culture that extols bedenimed ''rebels" while urging them to grow up faster than ever and prodding them to align themselves with well-established ''causes." ''Rebel" refuses to resolve that contradiction, and the film is the more resonant for that refusal today. Lawrence Frascella and Al Weisel will discuss their book and the making of ''Rebel Without a Cause" on Friday at 7 p.m. at the Boston University College of Communication, 640 Commonwealth Ave., Room B-05. Chris Fujiwara, a film critic living in Chelsea, is writing a critical biography of Otto Preminger, to be published by Faber & Faber.